Here’s a brief overview of our Marching Band travel plans for the upcoming 2019 season. We look forward to helping all our students have a terrific experience both on and off the competitive marching field. During Marching Band our band and color guard students work as one cohesive team and our Band Aids and Chaperones work collaboratively to care and support all of our students. If you are interested in serving as a Chaperone or Band Aid, training is required and underway for this season. You may find more information about both Band Aids and Chaperones on our website. This Bands of America Regional competition is a marathon day! Students will be traveling, rehearsing and competing throughout the day. We will share the itinerary once Mason’s preliminary performance time is finalized. This competition is composed of both a preliminary performance in the day and pending the results, Mason will perform a second time in the evening in the Regional finals. Students will travel by charter buses to and from Mason and the competition venue and rehearsals. The band will practice off site and meals will be provided throughout the day to sustain our musicians and guard members! Students are encouraged to bring their water jugs to keep hydrated and are always welcome to bring along their own snacks. 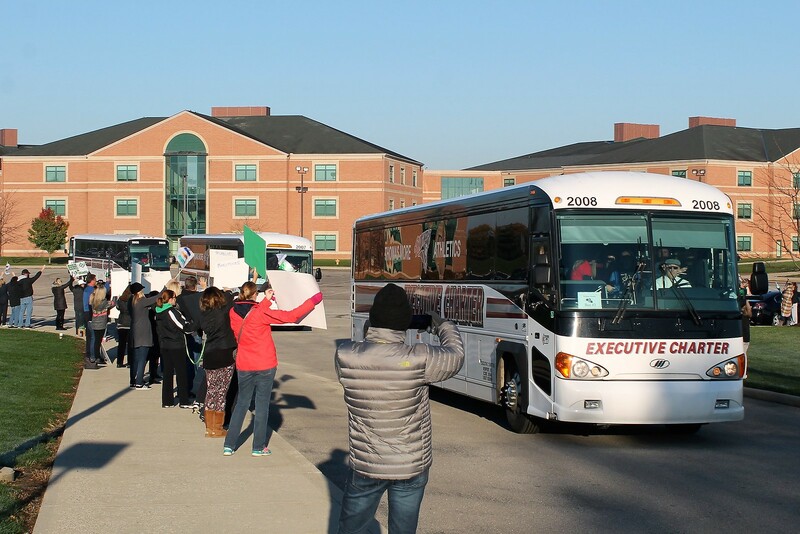 Families can anticipate a very early start to the day on Saturday, 9/28 and Mason will depart the Regional after the finals (usually around midnight) to return back to the high school in the early morning hours of 9/29. Parents are able to check their students out at the conclusion of the event if they wish to stay near the performance venue overnight or to transport their child home. Families will need to complete a simple online transportation waiver that will be shared in advance of the competition. We encourage family and friends to make the drive to the BOA Regional to cheer on the band! This is a ticketed event and tickets may be purchased on the Bands of America website or onsite. 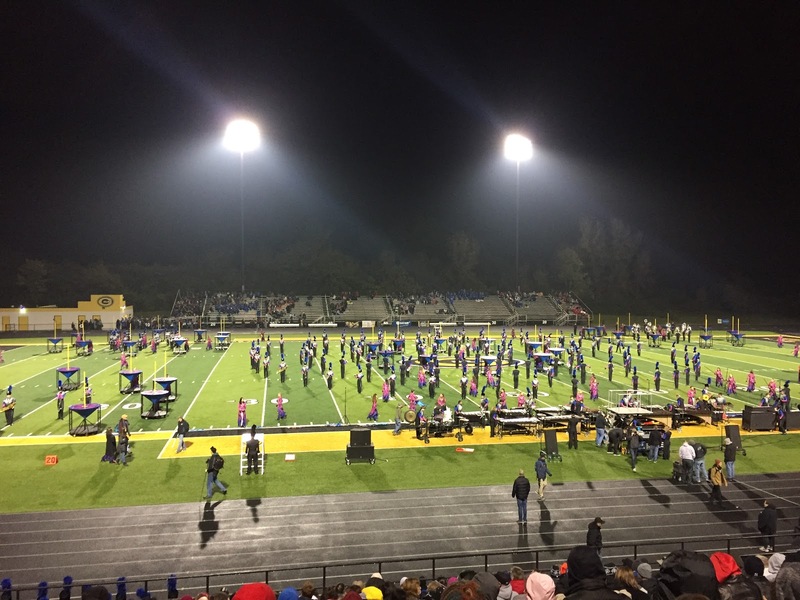 This Mid-States Band Association tournament is held at Centerville High School in Dayton, Ohio. Students will be rehearsing at Mason before heading to Centerville. They will travel by bus to and from Centerville and weather and performance time will influence the time students return to Mason. We will share the itinerary once Mason’s performance time is finalized. Mason will perform once in the Open Class of this tournament. We encourage family and friends to make the short drive to support the Marching Band at this competition. This Bands of America competition is the grand finale of our marching band season! 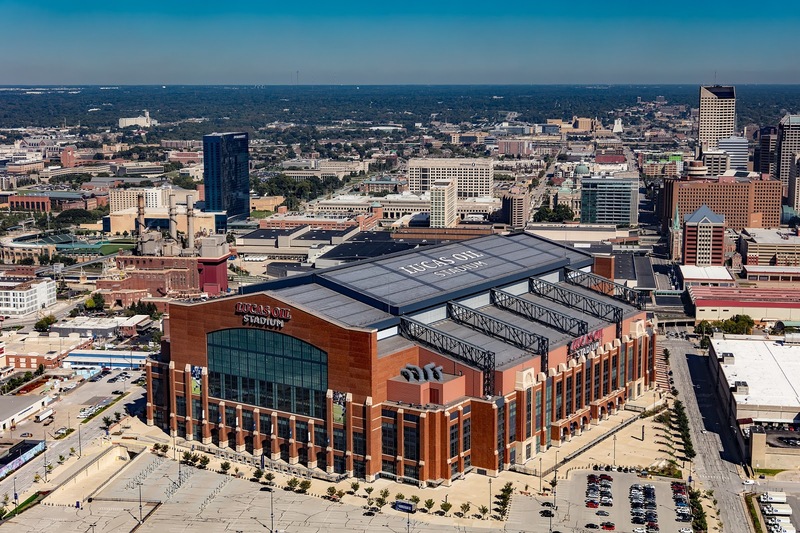 Students will travel by charter bus from Mason on Thursday and prepare for their preliminary performance at Lucas Oil Stadium at 7:45pm on 11/14/19. Students, Directors and chaperones will be staying three nights in downtown Indianapolis. All meals will be provided on this trip. Students will be performing, rehearsing, watching other bands and celebrating a successful season throughout the weekend event. Mason Band Boosters manage on-the-ground operations for this trip. Families are responsible for paying their travel fee directly to Mason Band Boosters. This is a ticketed event and families and friends are encouraged to make plans in advance to see the band in action at Lucas Oil Stadium. There are two days of preliminary competition and we know Mason will perform Thursday, 11/14/19. Pending scores, Mason hopes to perform a second time in the semi-finals on Saturday 11/16/19 during the day. Based on the results of the semi-finals, bands have the opportunity to perform in the finals Saturday evening. Indianapolis is a busy place during Grand Nationals so families are encouraged to book hotels early if they plan to stay overnight. Typically Grand Nationals finals run until midnight and our students will stay overnight Saturday night and return to Mason Sunday morning.